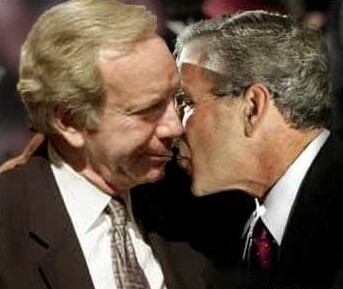 So Joe Lieberman announced this afternoon that he will not seek a fifth Senate term in 2012. Since yesterday’s HuffPo story about his upcoming retirement received a whopping 5,000+ comments within 24 hours, it’s safe to say a lot of people have a lot of different feelings about this development. Allow me to out myself as a total political novice (or, more kindly, someone who didn’t start following politics until Obama’s historic run)–I have no idea what the big, effin’ deal is about Joe Lieberman. Before writing this post, the sum total of my Lieber-knowledge was that he was a former Democrat who pissed people off when he became Independent (they thought he was too centrist or something?) and John McCain considered picking Lieberman over Mama Grizzly for the VP slot. I also remember telling people in the summer of 2008 that the only way I’d ever vote for McCain is if he ran with Lieberman–I have no idea where in the everloving blogosphere I read that (because that just sounds like such a bloggy thing to say) or why I was so convinced that would be a good pairing. Ah, youth’s political fervor is wasted on the uninformed and stupid. So anyway, my quest for Lieber-info took me to Wikipedia. He was born in 1942, which means he’ll turn 70 in 2012–can’t blame a septuagenarian for wanting to retire. 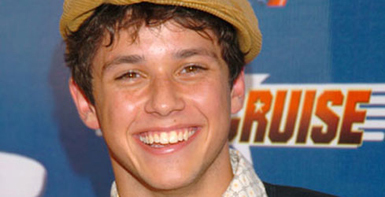 He’s also first cousins with Raviv Ullman, this cute Disney Channel star who’s on Phil of the Future, which is one of the Disney TweenyBopper Genre’s worst offerings ever, even by Cheetah Girls‘ standards. Lieberman apparently crossed over to the dark side in 2006, after he was defeated in the Democratic Senate primary by a millionaire named Ned Lamont (Nancy Drew’s ex-boyfriend, is that you?). Ever resourceful, Lieberman fired most of his campaign staff the day after the primary, created the eponymous “Connecticut for Lieberman” party, and defiantly declared, “For the sake of our state, our country and my party, I cannot and will not let that result stand.” I think Lieberman fancies himself a Patrick Henry or perhaps a Nathan Hale? Anyway, the race was close and the candidates played dirty (one campaign ad out-and-out called Lieberman a “turncoat,” an insult I give major points for tying into Connecticut’s Revolutionary history. “Benedict Arnold” would have been a good one too). Lieberman won out though, to the dismay of many Connecticutians and the consternation of the Democratic party, many leaders of which (Hillary Clinton and Howard Dean, for starters) had thrown their support behind Lamont and either tacitly implied or openly declared that Lieberman’s run was disrespectful of the party. But it’s all good because Lieberman got to keep his seat as Chairman of the Senate Committee on Homeland Security and Governmental Affairs. He only had to promise to caucus with the Democrats and vote with them on everything but policy matters–essentially, he got huffy with his party, defected, then sold his soul back to them to keep his political power. At least, that’s how I’m reading this, and it’s starting to explain why everyone hates the guy. I agree more often than not with Democrats on domestic policy. I agree more often than not with Republicans on foreign and defense policy. Really, Joe? Because I feel like one of the worst things about the Republican party is how America-centric they are, and how that drives their foreign policy. The best analogy I can think of is the snooty kid in your elementary school class who only ever invites three kids to his big, fancy Chuck E. Cheese birthday bash–the U.S. is that Polo (as in Ralph Lauren)-wearing kid and his friends are Israel, Canada, and Great Britain. And Canada and Great Britain only go to the party because their parents make them. How could I forget? This guy’s the one who ran opposite Al Gore in 2000. I don’t specifically remember the Lieberman/Cheney debate, but apparently Cheney wiped the floor with Lieberman (which is weird to me, since Lieberman is fairly war-hawkish and Cheney is defined by being a hawk, so what could they possibly have disagreed on except “family values” and the economy, which at least wasn’t completely tanked at that point?). I think it’s a huge exaggeration to say Lieberman caused Gore to lose–if anything, I think Gore’s ties to Clinton worked against him, as did this vague sense that he was insincere. People just didn’t trust the guy, so of course they went with the Texan who had a political legacy and oil interests. HA. Oh yeah, speaking of Presidential elections, there was also that whole “Straight Talk Express” thing when Lieberman endorsed McCain–knowing what I know now about Joe’s 2006 fiasco and the subsequent willingness of Democrats to accept him back into the fold, I can see how it would really have chafed to have the guy defect all over again, especially when four more years of Bush-style policies would have been hara-kiri-level demoralizing. So long Joe. And I can’t believe I voted for you as Veep. I take back my vote. He is now “Sad Joe” as in sad old man, bestie of McCain. I don’t know what to call residents of Connecticut. I call them Nutmeggers, based on the Nutmeg state nickname. Thanks for this post. It does a good job of summarizing the many reasons I’ve disliked Sen. Lieberman for a while now. Add his ongoing support for Christians United for Israel (see: http://www.youtube.com/watch?v=mjMRgT5o-Ig), and I think you’ve got the full picture. I won’t be at all sorry to see him go, I just hope the Democrats are able to fend off the inevitable Republican contender(s) for his seat.